Don’t clutter your wall space with cabinets; opt for as few as possible to keep the design simple and clean. Stop playing hide and seek with upper cabinets that are poorly functional; opt for tall, pantry-like cabinets that are waist height to eye level to maximize efficiency. Ditch the work triangle idea (that the stove, sink and fridge need to be in a triangle layout); opt instead for wide-open spaces which can accommodate helping hands. Skip the steps spent running back and forth; opt to concentrate your prep work to an appointed “safe place” where you can productively post up and keep things running efficiently no matter what is happening around you. If you’re going to do an island, go all out; opt for one which can comfortably give guests a place to relax and join you while you prep and entertain. Don’t fall for the overly complicated color palette; opt to keep it neutral and fall in love with varying shades of one color that can add subtle depth and character to your space. 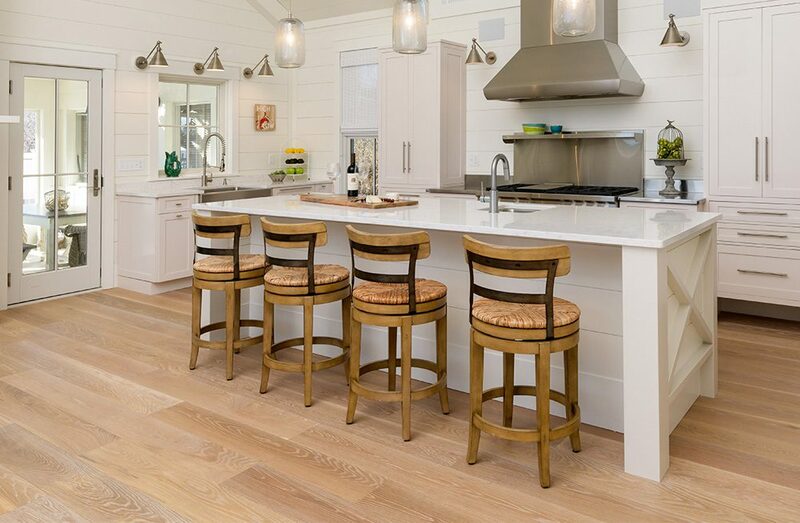 This project featured Carlisle’s “Weekend Cottage”, a captivating White Oak floor with organic nutty brown, cocoa undertones and dramatic complimenting grain patterns. 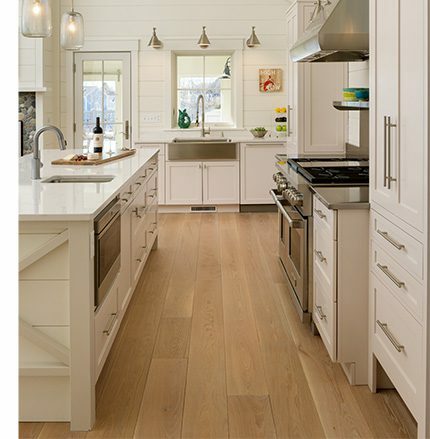 This floor perfected the design’s color palette with its beach sand hues which contrasted spectacularly against the various shades of white throughout the kitchen. 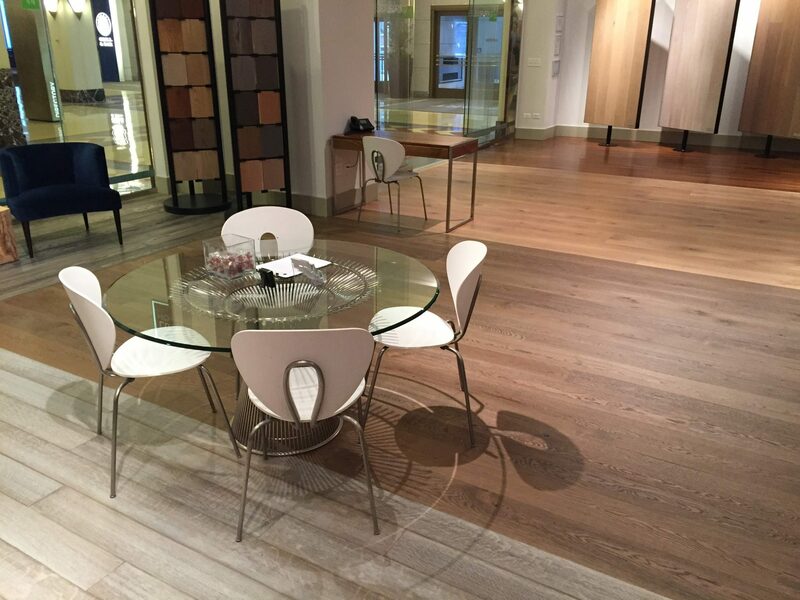 The floor was finished with a unique application process of buffering and layering the stain into the fibers of the wood, adding additional depth and character to an already striking floor.